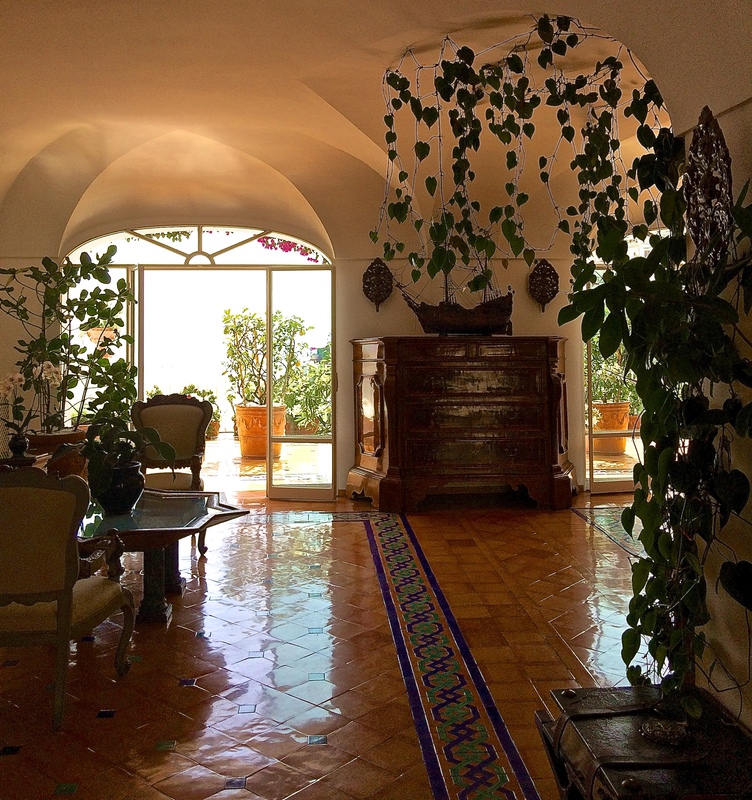 Perched on the hillside amidst Positano’s tumbling pastel villas and shops, the spacious Hotel Le Sirenuse stands out in the crowd. A deep ruby-red color edged in white, it presents an elegant facade. 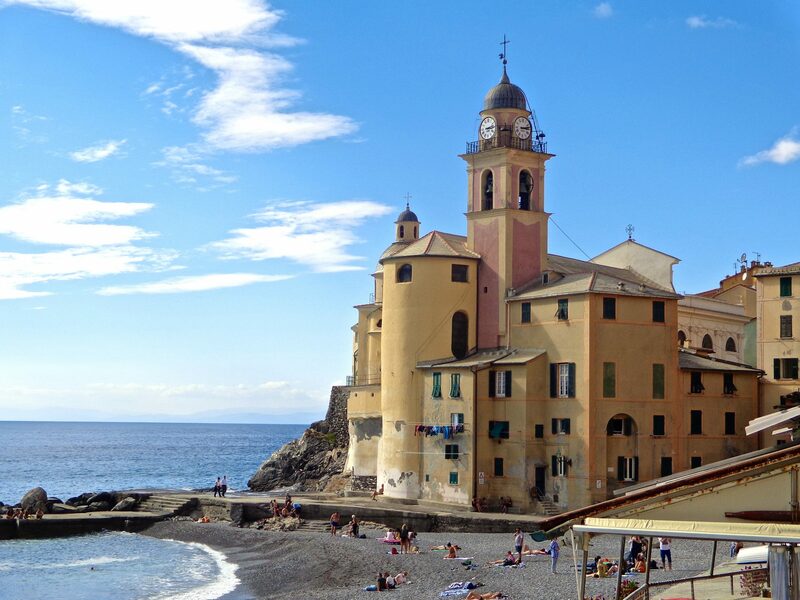 Originally a summer home for the Neapolitan Sersale family, it was converted into a luxury hotel in 1951. The hotel contains 58 rooms. My two friends and I, fellow Italy travel writers, arrived for lunch and were met with a warm and generous welcome by the staff. The classy furnishings and elegant design of the hotel caught my attention instantly. Well ordered and extravagant, it was a pleasure to soak up the ambiance. 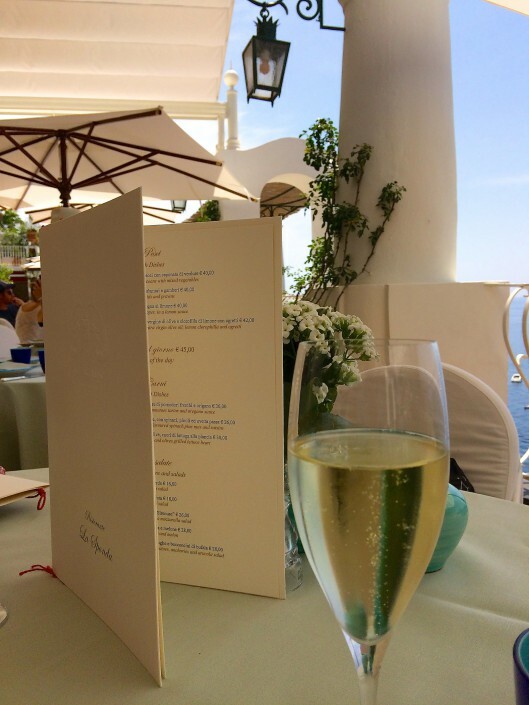 We were ushered into the dining area of the Ristorante La Sponda by our maitre ‘d Vincenzo and seated at a table with a stunning view of the sparkling blue Mediterranean. The scenery was rimmed with climbing vines and potted trees. I learned that at night-time, over 400 candles are lit on the dining terrace, creating a romantic atmosphere. Our waiter, Saverio, served a bottle of sparkling cool prosecco followed by a delicious asparagus cream soup embellished with buffalo ricotta and a good splash of local olive oil. It was rich and velvety. The ingredients used by the chefs in the kitchen were fresh and locally grown to provide the diner with a variety of authentic Mediterranean flavors. The lovely hand-painted plates were locally made with traditional designs, making the various dishes appear even more colorful. 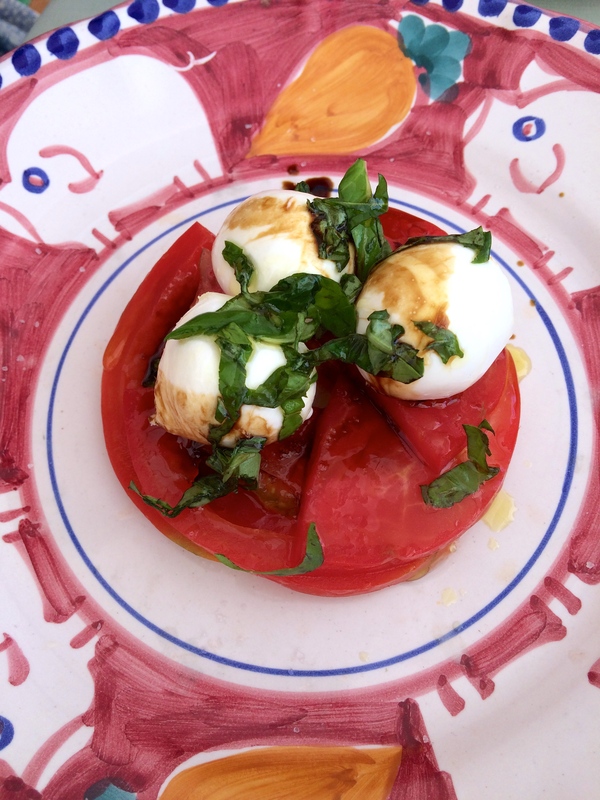 A Caprese Salad made with succulent sun-ripened tomatoes and buffalo mozzarella balls sprinkled with basil soon appeared. Our sommelier brought a bottle of Costa D’Amalfi DOC Tenuta San Francesco white wine to the table. The Tenuta winery is located only 18 miles from the restaurant in Tramonti. Founded in 2004, the winery grows local and rare grape varieties. The per Eva is a blend of three grapes and has a strong aroma of fresh flowers and honey with a nut like finish. A fine local white wine to accompany our meal. My entrée was Paccheri pasta with a medley of seafood and small tomatoes tossed in a light wine sauce tucked inside each pasta, creating a seafood lovers heaven. A Seafood Lover’s Heaven ~ wide macaroni stuffed with shrimp, muscles and white fish tossed in a light wine sauce. 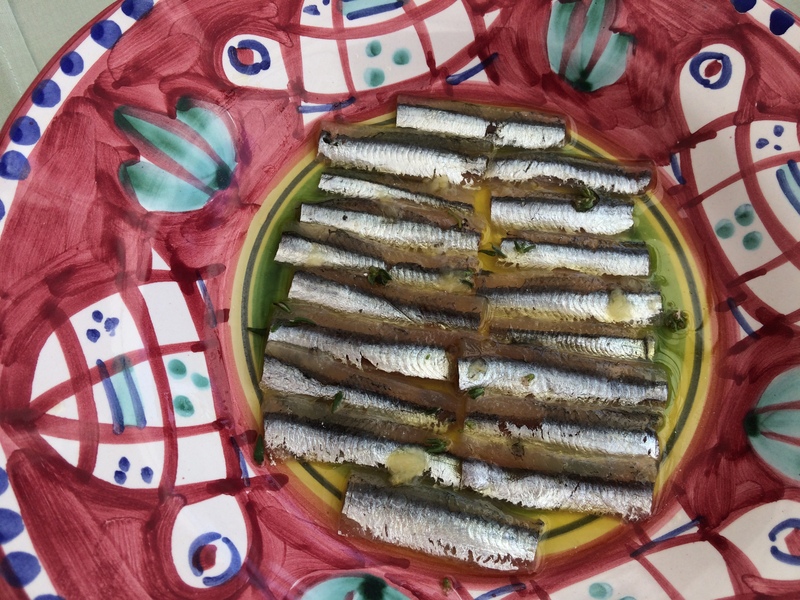 Next, a plate of freshly caught white anchovies soaked in olive oil with a splash of lemon. A delicate white fish, flaky and moist, decorated with bits of calamari and seasoned just right. A Piece of Art! Italy reigns supreme in the art world, especially when it comes to food. 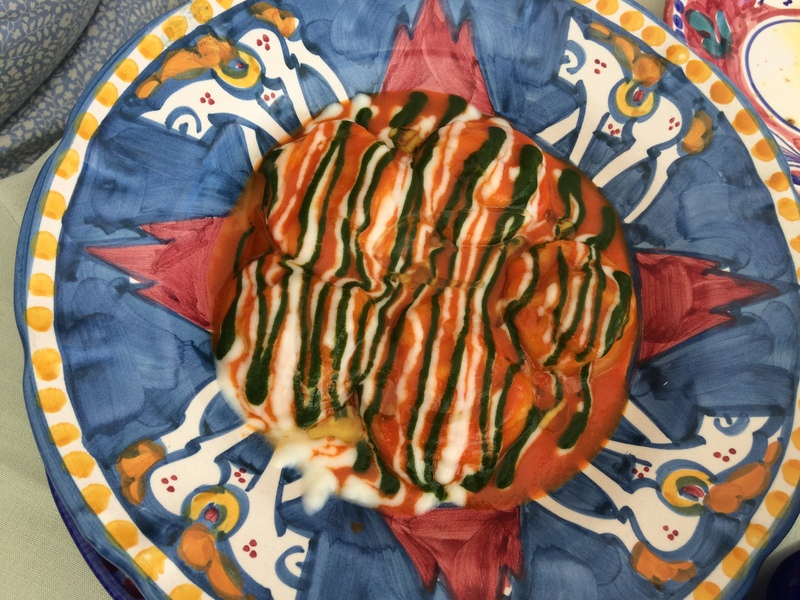 This is a fresh ravioli dish with pesto and pomodoro sauces poured over the top, making the color of the Italian flag. 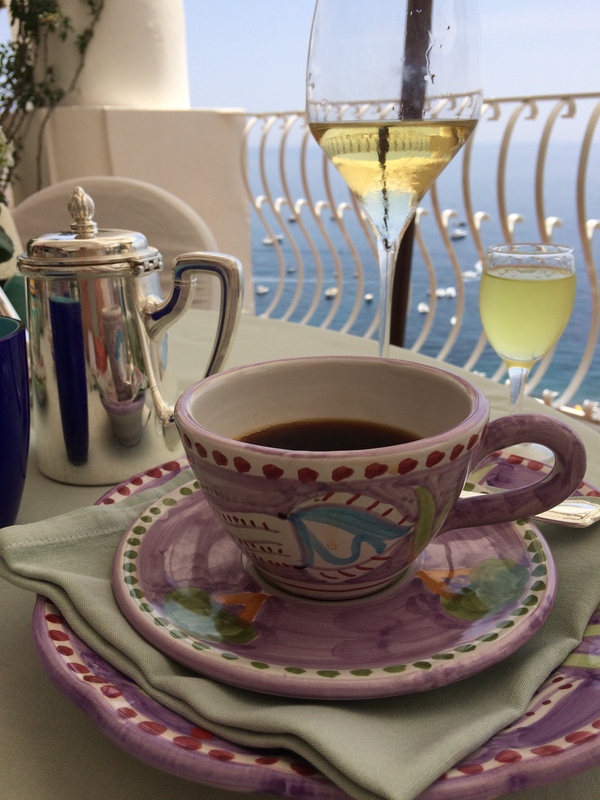 The meal was followed up a steaming cup of fresh espresso and a small glass of locally made limoncello. Dessert consisted of a moist chocolate cake and a plate of cookies with biscotti. Every detail throughout the entire meal was attended to. We were introduced to Giovanni Ciccone, the Director of Operations. Margie presented him with her new book of lovely photos of Italy while Victoria flashed a beautiful smile. 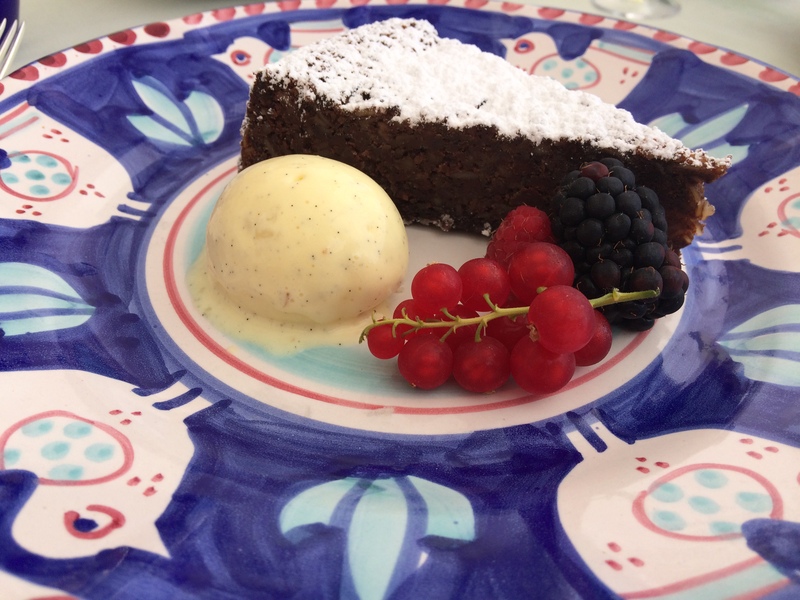 Ristorante La Sponda is more than a meal…it is an experience. I found the service to be outstanding with graciousness and finesse. 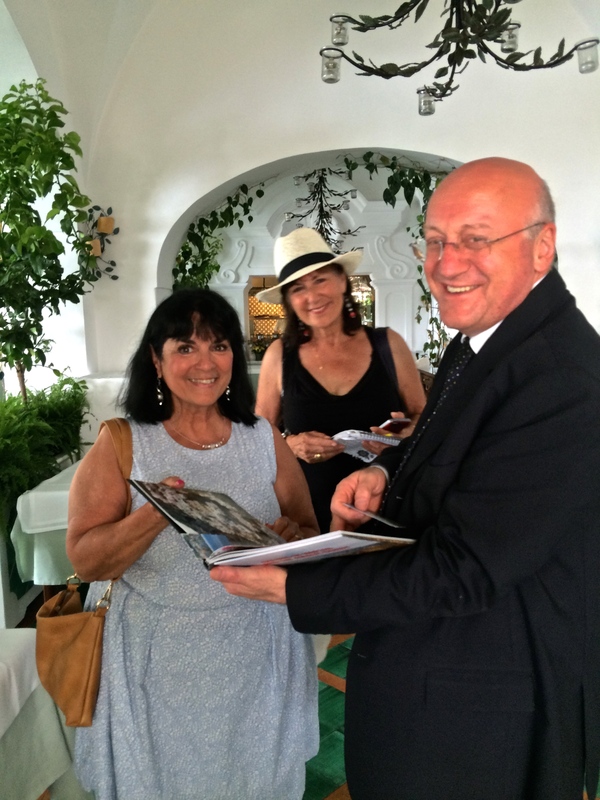 Thank you Hotel Le Sirenuse and Ristorante La Sponda for a lovely dining experience. I’m delightfully surrounded by our hosts! What a feast for the eyes and stomach. My mouth was watering as I read and viewed your photos. And the hotel, wow. I want to go there now!! I have to say that it was an experience made of dreams for me. Being served delicious food in a heavenly environment while waited on hand and foot by 4 waiters was beyond my expectations. Memorable…glad you enjoyed it. That pool is to die for! Beautiful photos as always.